I confess that I never really grew up. 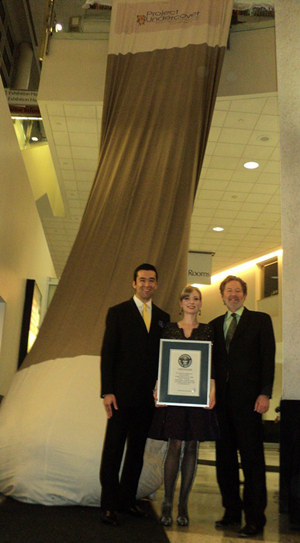 And I am not referring to my lack of stature. I achieved exactly five feet in this department, much to my relief. The thought of having to say that I am four foot anything would have been too much to bear. (Sorry. I momentarily had to consider the use of “bear” vs. “bare,” which is not good being that I am an English teacher. Then I remembered that “Bare With Me” equates to an invitation to get naked. Good thing I got that straight. Stupid language.) Now, where was I? Oh, yeah. My lack of height. While, I never grew up in the physical sense, I failed to do so in the mental sense as well. At the age of 45, I still love anything with eyes. Well, not clowns. Or dolls. Or, Heaven forbid, clown dolls. But most things with eyes amuse me immensely. Poop. Not cute. 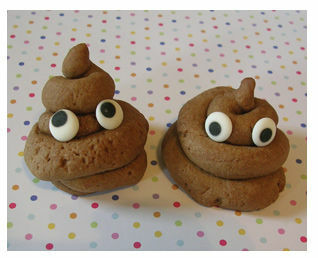 Poop with eyes. Adorable. I still love Bert and Ernie–although I am partial to Bert. He’s the only man I know that can pull off lime green pants and a uni-brow. 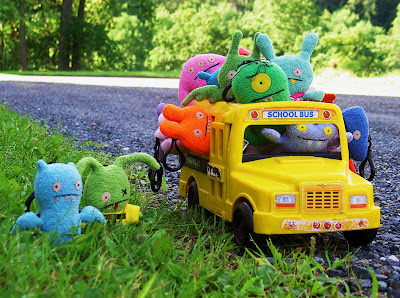 I am a huge fan of Wage the Ugly Doll (um. Hence my Gravatar and blog design). And I collect vintage Pop Culture icons–you know, things like Grimace, Cornelius Rooster, old Snoopys, the Dough Boy. But my real weakness is puppets. I have a plethora of puppets. 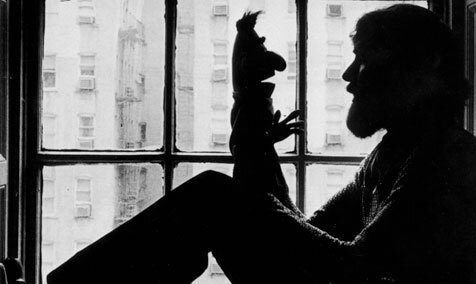 My childhood (and current) dream was (and is) to be a puppeteer on any Jim Henson Production. I’m not fussy. Any one of his puppets will do. 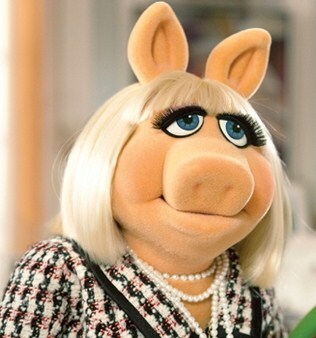 Except maybe Miss Piggy. She bugs me. 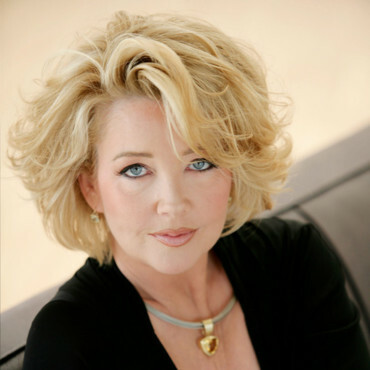 She looks like Nikki Newman on The Young and the Restless. She bugs me too. Beeker would be good. Or Grover. And, of course, Bert or Ernie. 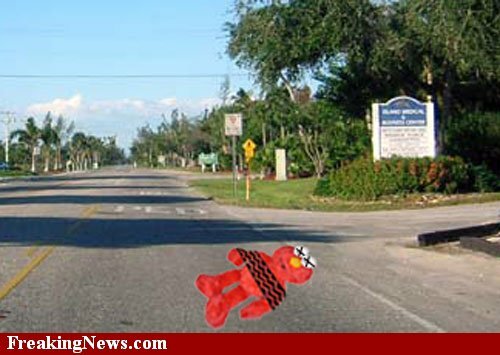 Not Elmo. I’d like to step on his throat. I finally got the damn thing to shut up. Makes me feel guilty stepping on my socks. 1) Let’s face it. Sock puppets are awesome. As long as the sock is clean and doesn’t smell like foot. Or Parmesan. I can never tell the two scents apart. Gack. This sock puppet is pretty darn cute. It’s the eyes. It’s always the eyes. I am suddenly very aware of the fact that I am stepping on a pair of potential sock puppets right this minute. Instead of entertaining smiling children, my socks are stuck clinging to my foot callouses. Note to self: moisturize crunchy feet. Poor socks. Almost makes me want to take them off and give them a break. Almost. The cold hardwood floor stops me from actually doing it. After all, they ARE socks. They were born to be stepped on. Anyway, I digress. Back to my first fact of the day. 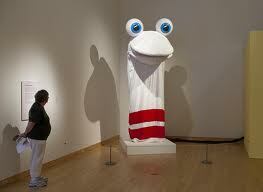 When it comes to sock puppets, I think bigger is better. Imagine one that is 32 feet tall. Imagine the eyes! 2) My mind is a mysterious thing. Puppets have led to socks which, then, led to feet. Feet make me think of bunions (which, by the way, is one of the cutest words ever. Calling someone a bunion sounds like a term affection, when really you are calling them a hideous foot growth). Bunions made me ponder boils and corns. Which, unfortunately led to me finding this. Ack. I must try to type without letting my eyes wonder over to this picture. It’s like a car accident. You don’t want to look at it, but you simply have to. All I can imagine is the poor bugger who was around when it popped. I don’t really know much about this photo other than the fact that it is simply labelled “the world’s biggest zit.” How the hell do you get a zit the size of a red squirrel? Seriously. Does the guy live off a steady diet of Poutine and Deep Fried Mars Bars? Perhaps, it’s from an ingrown hair. But what the hell kind of hair would lead to a giant pustule like that? The hair of a Wookiee? 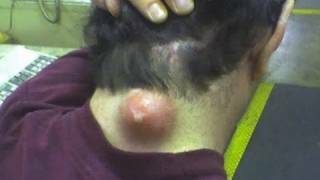 Rumour has it that the largest zit was 78mm–about the size of a hockey puck. I’d rather get hit in the head with the puck though. Less messy. 3) I have to erase the image of this massive sebaceous thing, so I have decided to share a few cute Canadian things with eyes. I remember asking an American blogger if she had ever seen the Excel gum commercial with the walking donut and coffee cup. Apparently, this is a “Canadian” thing, so I thought I’d share this–and a few other cute commercial icons–with my non-Canuck friends. Here are the mascots for Excel (by Wrigley’s) gum. Since this original commercial, a bulb of garlic has joined the gang. I am, however, still puzzled about the whole “donut breath” thing. Does a donut really cause “breath?” And, if it did, wouldn’t it be a good thing? And here are the “timbits” of Tim Hortons’–otherwise known as donut holes. And Frank & Gordon, the Bell Canada Beavers. They seem to have been fired from Bell–maybe due to failed contract negotiations or a better offer elsewhere. One of my all-time favourite pictures. Bert and his dad.